Absolutely yes. It's a must in our makeup kit! By now it is obvious how much we enjoy makeup and all the knowledge that comes with it. While we bring to our audience products both high-end and more affordable, we also like discussing about the importance of keeping products at their top performance and making sure you get your money’s worth. A product that we call a lifesaver, is this tiny bottle by Inglot Cosmetics. 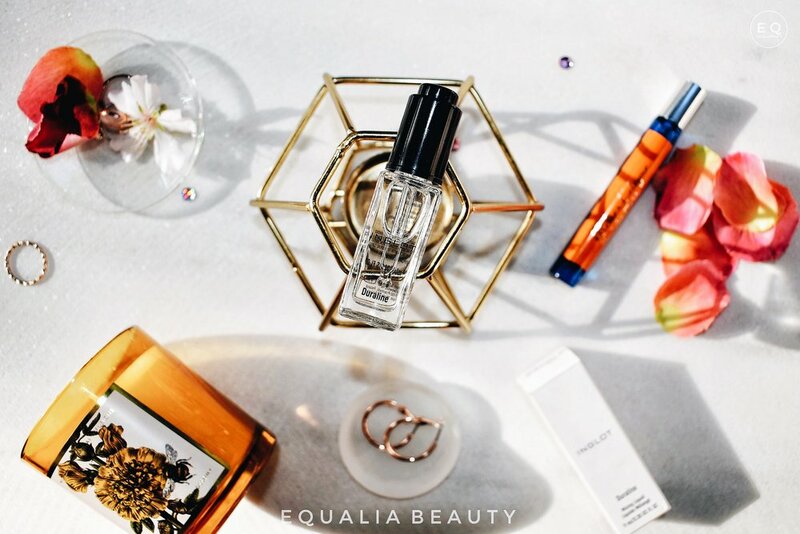 One to two drops of this liquid, will completely transform your makeup items. We’ve compiled a list for you, of all the different ways you can use these drops. Let’s get started. Out of all the makeup items, mascara has the shortest life-span. It is said that every three months it should be replaced. I find that hard to do, seeing as how I have several different ones and don’t use the same one each day. If your mascara seems a bit dried up, add three to four drops of this in the tube and the brush will pick up product again as if it’s brand new. How many of you use gel eyeliner in a pot instead of a pen? By constantly opening the pot and let it sit on our vanity while we perfect our flawless wing, we’re drying up the product. Add one drop of this (caution, not more) and mix it well. Make sure it’s creamy, not complete liquid. That changes the consistency of the product. This can be used to apply glitter, especially for those who don’t have actual glitter glue. Wet your brush with this product and cover it with glitter. Make sure you pat the product on your eyelid, do not swipe it as you would with another eyeshadow. These drops can make any eyeshadow or loose pigment into an eyeliner. Grab something you use to mix makeup on, add a drop and then the pigment or eyeshadow of your choice. Mix well to make a paste and apply it with a brush as you would with your regular eyeliner. If you have a foundation that is down to its last breath, but can still cover you for a few more uses, add two drops at most, mix it well and apply on your face. If you fear of a possible reaction on your skin, start with a small area on your neck and see if it sits well with you. Half a drop of this product can make your lipstick waterproof! Grab a brush to apply your lipstick, wet it and apply it on your lips! Color will not be going anywhere on a special night out! If you are an avid makeup lover that enjoys doing something a bit different in their routine, this trick might be the best one for you! If you’re in the mood to add some glitter or extra color grab your duraline. After applying lipstick or gloss, wet your brush with a drop of it and pick up some glitter and gently tap into in the center of your lips. This way it’ll sit comfortably on your lips and you won’t worry on glitter reaching your chin. These are some of the ways we’ve used this product to revive or add something special to our makeup collection. Almost always, after “saving” a client’s favorite product, they’ll go ahead and purchase it. It’s a small bottle but a single drop of it will help keep your products stronger and healthier in your collection. Any other ways to use this product we’re missing out on? As always, we’re waiting for your comments on thoughts down below. This is not something to do on the daily. The time will come to let go of your product.